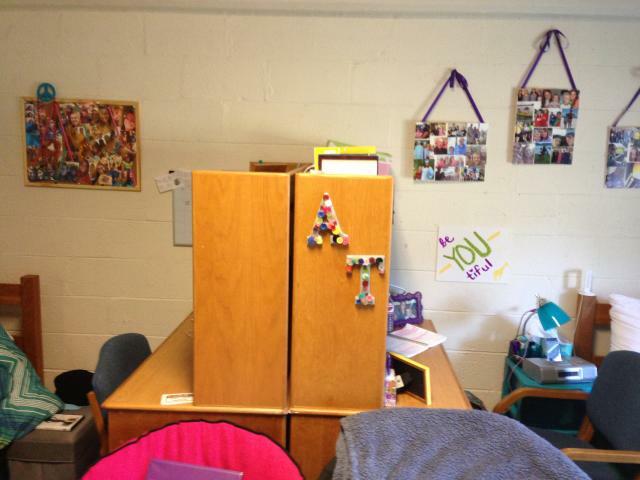 From one freshman to another, it can be daunting to try and squeeze everything into one small room. Chances are, your room at home had much more space. But fear not! There are numerous tips and tricks that can maximize your space as well as make it feel more like home. Without further ado, 7 tips to make your Wright dorm room feel cozy! 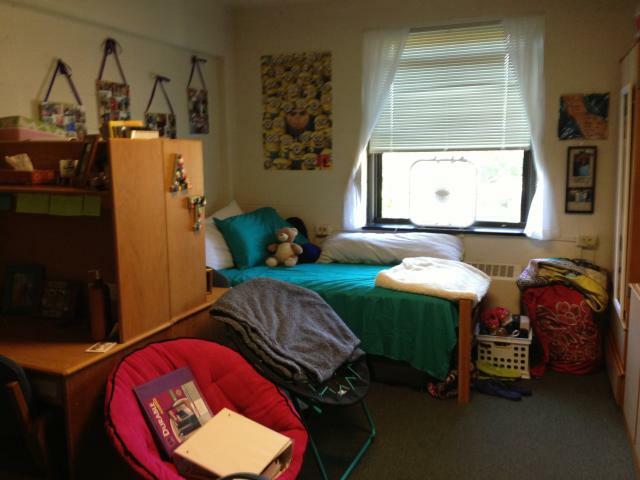 One of my biggest concerns going into college was the layout of my room. My roomie and I decided to leave the beds on the floor instead of bunking, so I was a little worried about space. Luckily, how we organized our room turned out to be perfect in terms of space. Check it out. You wouldn’t believe how many parents and floor mates saw our room and decided to reorganize their rooms like ours. I cannot stress how important fans are in keeping your room cool. They really make it so much more tolerable, and how cool it stays depends on your placement of fans. Buy a box fan (or two) and put them in your window with the fan sucking in air from outside and blowing in towards your door. Pro tip: Always keep your door open to maximize the air flow. Not only does this keep it cooler, but an open door also attracts visitors, and who doesn’t want to make friends? Another great way to beat the heat is to freeze a few washcloths in Ziploc baggies that you can pop out of the freezer and throw on your neck. It’s an instant cool off. One last word on keeping cool… try to keep your blinds down halfway to block out the heat from the sun. 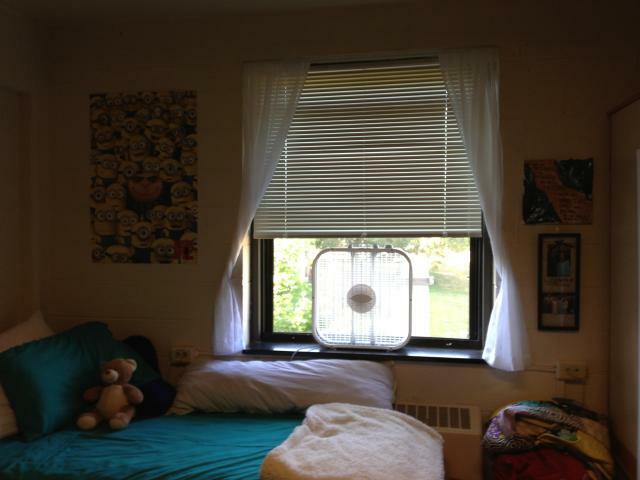 You still have an awesome view because the bottom half of your windows are open with the fan. Keeping off the overhead light is always a solid idea as well. 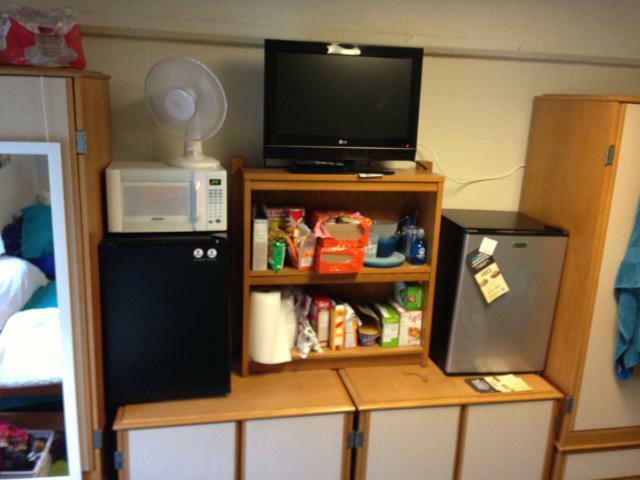 Storage bins will easily become one of your best friends in college. Brought 12 hoodies that don’t fit in your closet? No problem. 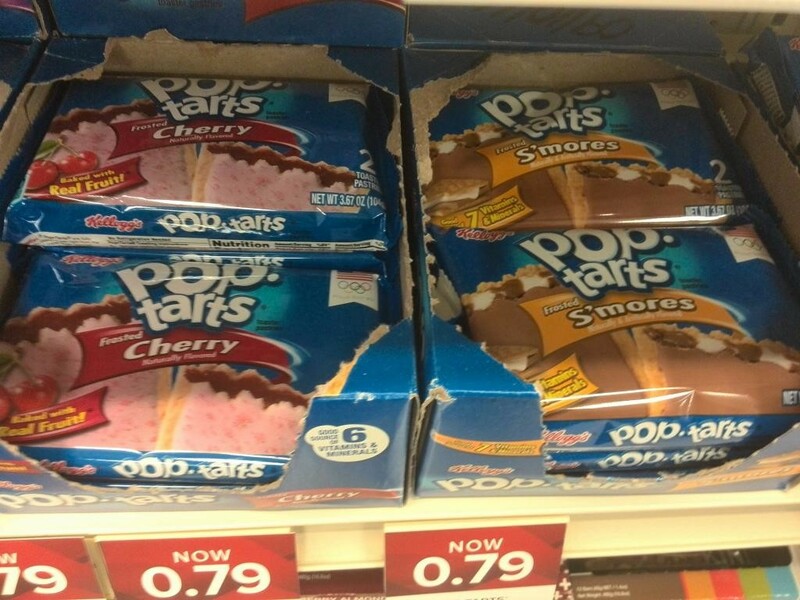 Throw them in an underbed box and you’re good to go. The beds in Wright are about 13″ off the floor which allows for plenty of boxes where you can throw all your useless crap very meaningful belongings. 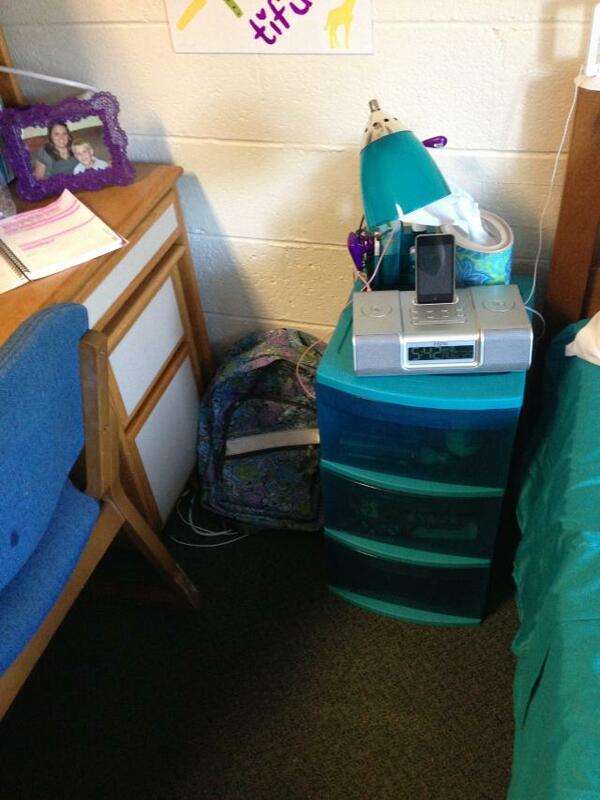 I also use a storage bin with three drawers as my bedside table. Before you go out and buy one, however, be warned that the desk drawers are moveable, so you could potentially use them as a bedside table, too. As I mentioned before, brick walls are not super exciting, so chances are you’re going to want some decorations. 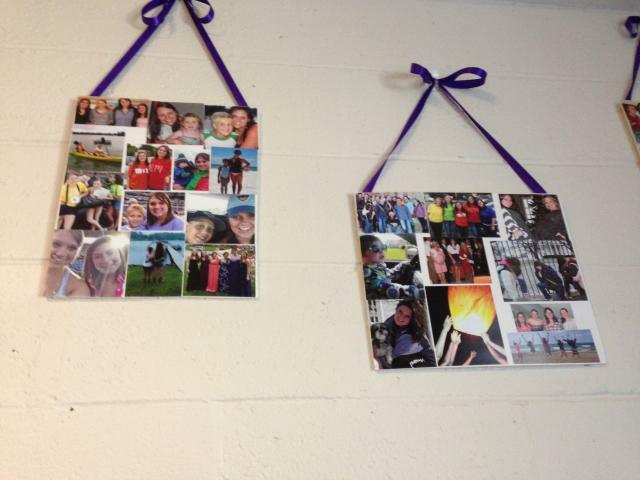 Thanks to Pinterest, I found an easy collage idea to put up pictures of friends and family. I also have a Despicable Me poster, because who doesn’t love minions? But if you’re not as cool as me and you don’t have a minion poster, check out the poster sale at the IMU and find something you love! Dorms aren’t always going to smell fresh. Between workout clothes and smelly sneakers, you may want to invest in an air freshener. Before you go out and buy your favorite scent, talk it over with your roomie. Respect their decision if they don’t want to be smelling your bacon air freshener. Yeah, it exists. Sure, you live above the tastiest food court on campus, but there are going to be times when you want to just snack on some popcorn while watching How I Met Your Mother in your jammies. 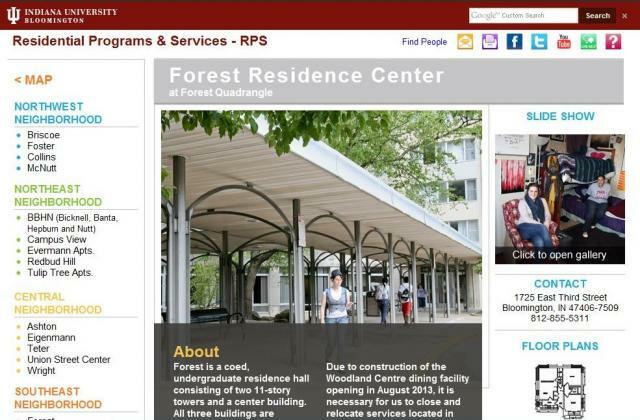 Invest in your favorite snacks and then get directions to the SRSC so you don’t feel too guilty. South Bend native. 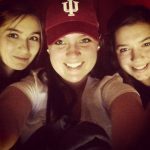 Lover of sports, travel, books, and Chicago.